About the Island - Welcome to the Herring's Hilton Head Getaway! The intriguing Sea Islands, separated from the mainland by expanses of estuaries and salt marshes, make up more than half of South Carolina's coastline. Among these islands lies tasteful, low-key Hilton Head, offering glorious white sand beaches and superb golf courses. Biking, tennis, fishing, and sailing are popular as well. Hilton Head is shaped roughly like a tennis shoe, with the ''toe" known as the south end, the ''ball" of the foot as Forest Beach, and the ''top" as the north end. There is no ''downtown" on Hilton Head. Shopping and other activities are spread throughout. The Hilton Head Resort is centrally located mid-island ever so slightly north of the "ball" of the foot. 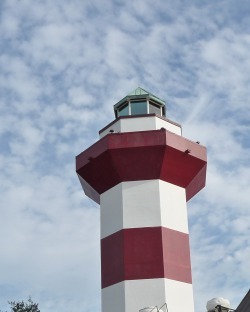 Hilton Head Island is separated from the mainland by the Calibogue sound and the Intracoastal Waterway. Between Hilton Head and the mainland are two other islands. Daufuskie Island is accessible only by water. Part of this island remains in its natural state as a large wildlife preserve; and part has been developed to a limited extent for tourism. Pinckney Island is accessible from the bridge linking Hilton Head to the mainland, and is a National Wildlife Refuge popular among bird watchers. At the Penn Center on St. Helena Island, freed slaves first found schooling. Neighboring Edisto Island remains low-key, scenic, and a relaxing place to visit. Hilton Head Island has 8 marinas, more than twenty- five golf courses, 300 tennis courts and miles of bicycle and walking paths. The island also features two stables and ample areas for horseback riding, including forest preserve and waterfront. Fishing, parasailing, skiing, horseback riding, miniature golf and, of course, dolphin watching and beach walking are also popular with vacationers and residents alike. There are over two hundred restaurants, eight art galleries, thirty five churches, three movie theaters and many shops, boutiques, and outlets. If bargain and treasure hunting interest you, there are numerous "thrift" stores on the island and in nearby Bluffton.